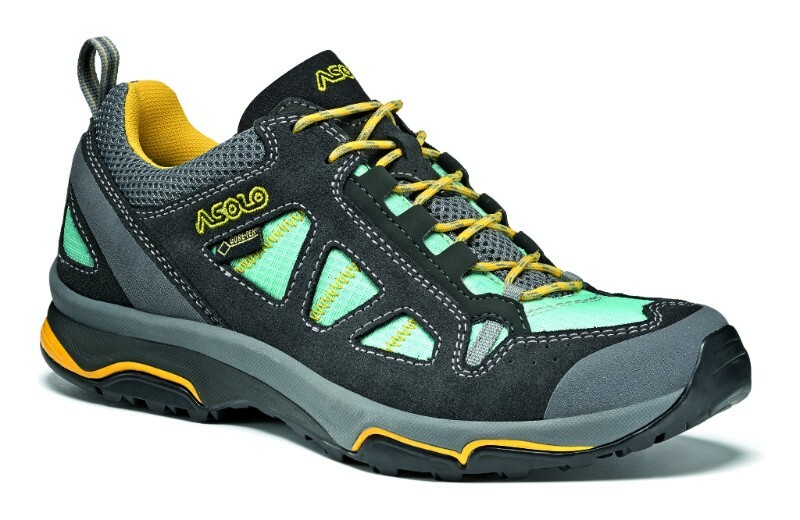 Megaton GV is a low-cut model from the Asolo Hiking > A-Fast category. 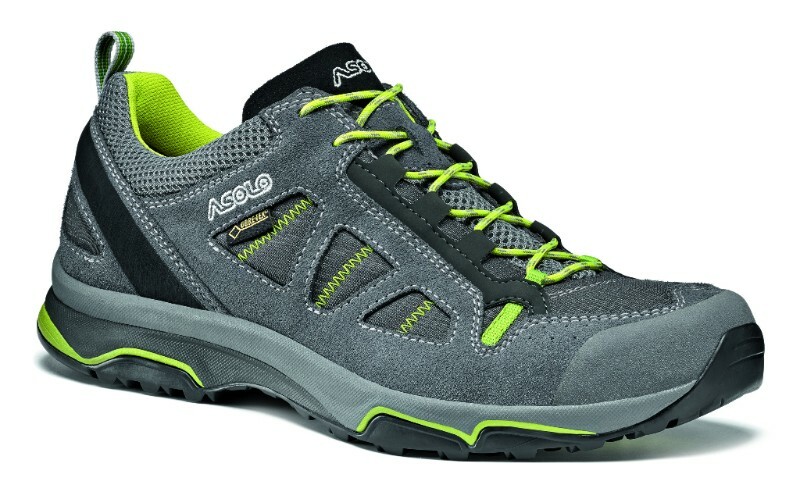 A footwear for light hiking, comfortable and versatile, standing out for performances and style. The shoes is provided with the innovative Synthesis outsole, developped together with Vibram®, a real revolution in terms of technology and quality. The molded EVA midsole is made with a new generation compound and it offers a great balance between elasticity, fit and high absorption. The self-cleaning rubber outsole is designed with a low profile and is made of the new Vibram® Megagrip compound, that increases grip on wet surfaces and durability. Water-resistant suede mm 1,6-1,8 and polyester for the upper, Gore-Tex® Extended Comfort Footwear for the lining are the materials chosen to provide waterproofness, breathability and lightness during mountain hikes. The modern style and the captivating colours, make Megaton GV the ideal shoe to face even the walks or the rainy days in the city. Available in four colour versions: grey/graphite and elephant/brown for men, azure/graphite and graphite/pool side for women.